Often production facilities need to store pallets of goods in the most compact way possible. The goal is usually to maximize the use of floor space; and in the case of cold pallet storage, the more compact the goods are stacked, the better the efficiency and ease of temperature control. 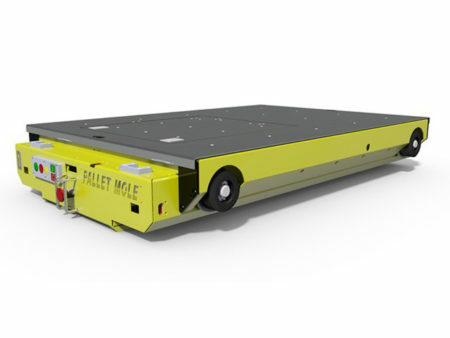 Pallet Mole™ enables “aisle free” pallet racking to provide a much higher density of storage than Adjustable Pallet racking, double deep storage and conventional VNA storage.